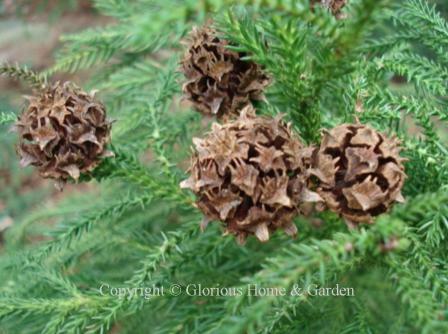 Cones, seedpods, dried flowerheads and dried capsules make intriguing decorations for your winter garden; and it's nice to have your own plant materials on hand to make holiday ornaments and decorations. 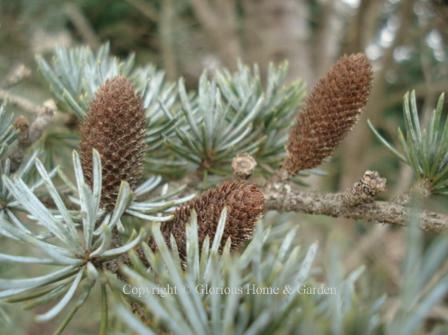 Of course, many do double duty--beauty for your winter landscape, and food for birds and other wildlife. 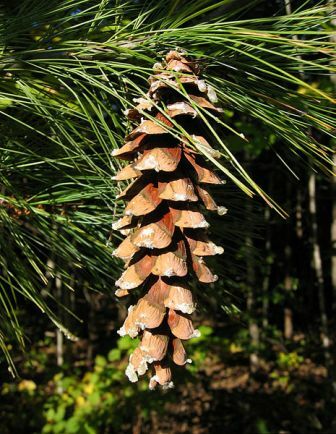 Pinus strobus Keith Kanoti, Maine Forest Service, USA. 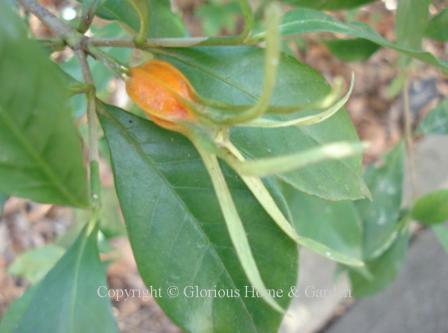 Gardenia jasminoides, gardenia, Zones 7b-10--shrub, intriguingly decorative orange seed capsules produced in autumn that persist into winter. Hydrangea macrophylla, bigleaf hydrangea, Zones 6-9—shrub, flowerheads of the mophead and lacecap varieties often dry on the plant and be left for winter effect and cut off in late winter or early spring as new growth appears. 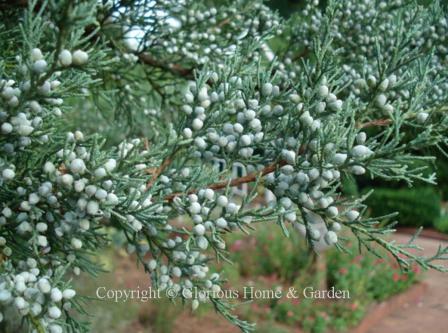 Be careful how you prune so as not to remove buds for new blooms. Hypericum prolificum, shrubby St. John’s wort, Zones 4-8—shrub, dried seed capsules persist through winter. Kalmia latifolia, mountain laurel, Zones 4-9—shrub. Lagerstroemia indica, crape myrtle, Zones 7-9, shrub or small tree, dried capsules persist through winter. Prune off in late winter before new growth begins. 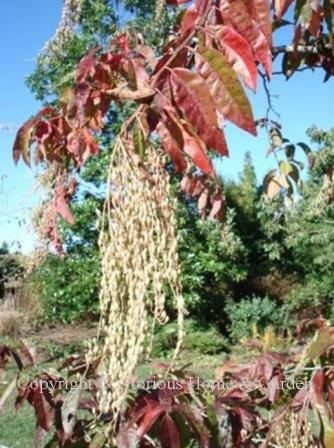 Oxydendrum arboreum, sourwood, Zones 5-9—tree, fingerlike panicles of dried capsules linger after blooming looking almost like the tree is still in flower. Platycarya strobilacea, Zones 6-8. 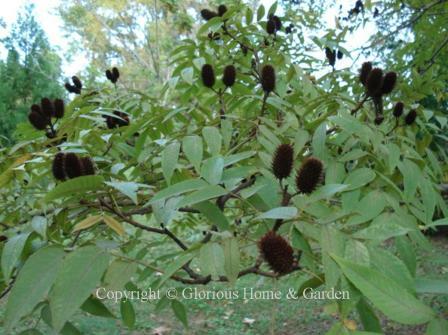 I was struck by this unusual hickory relative during a visit to the Sarah P. Duke Garden in Durham, N.C. 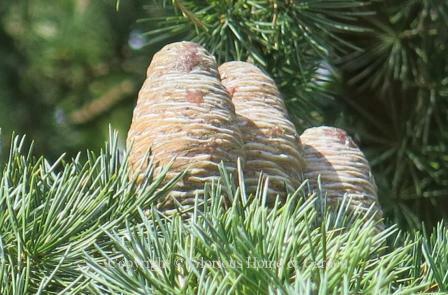 The dark cone-like seed capsules stood erect and contrasted boldly with the compound leaves. Very eye-catching. 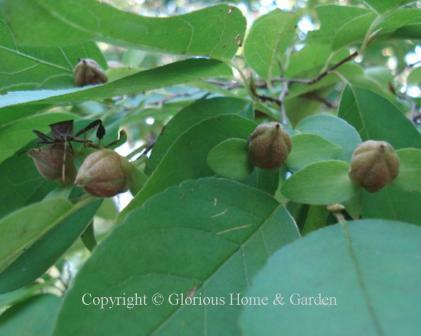 Stewartia monadelpha, tall stewartia, Zones 6-8. I love the beautiful bark of this tree, but it also produces little 5-part nut-like seed capsules in the autumn.